Lucknow, January 22 (The Hindustan Times/Quint/India Today): After a “cyber expert” claimed in London that the 2014 Lok Sabha elections were rigged by hacking the electronic voting machines (EVMs), clamour has been rising in the country with many Opposition leaders asking the Election Commission of India (ECI) to revert to the system of ballot paper for recording votes of the electorates in polls. The demand has come amid strong rebuttal by the election commission of the EVM hacking claim by US-based cyber expert Syed Shuja. BSP chief Mayawati on Tuesday demanded that the election commission should conduct 2019 Lok Sabha polls using ballot paper as was the case before the EVMs were introduced during 1990s. “Keeping the larger interest of democracy in view, it is essential to look into the EVM matter so that it gets resolved soon. It’s possible to validate ballot paper but it’s not the case with the EVM. 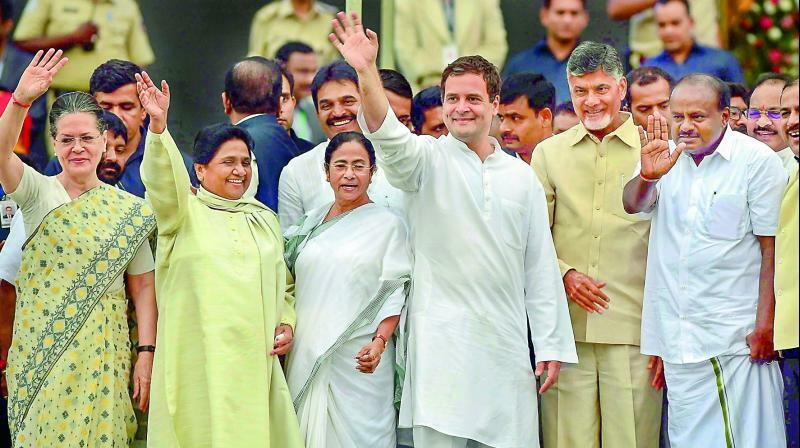 We demand EC to hold 2019 general election using ballot paper, taking this into cognizance,” Mayawati was quoted as saying by ANI. The Election Commission and the government should take a decision, Yadav said. On the other hand, the government has rubbished the allegations of EVM hacking with Union Law Minister Ravi Shankar Prasad blaming the Congress party for the controversy. He launched an attack on the Congress questioning the presence of senior party leader and former Union law minister Kapil Sibal at the EVM Hackathon event organized in London on Monday. Meanwhile, the Congress distanced itself from the London event. Congress spokesperson Abhishek Manu Singhvi saying that Sibal did not represent the party and was invited to the event by a journalist. The Congress, however, maintained that serious questions were asked at the press conference that needed to be answered by the election commission. “The charges made are very serious…They certainly need investigation. These should be looked into with an open mind by the Election Commission,” Singhvi was quoted as saying by PTI. According to The Quint, the Election Commission of India (ECI) has written to the Delhi Police requesting them to lodge an FIR and investigate the statement made by self-claimed cyber expert Syed Shuja. Earlier, the Election Commission of India, had said the machines were foolproof and the commission was currently analyzing what legal action could be taken regarding the press conference organised by Indian Journalists’ Association (Europe). 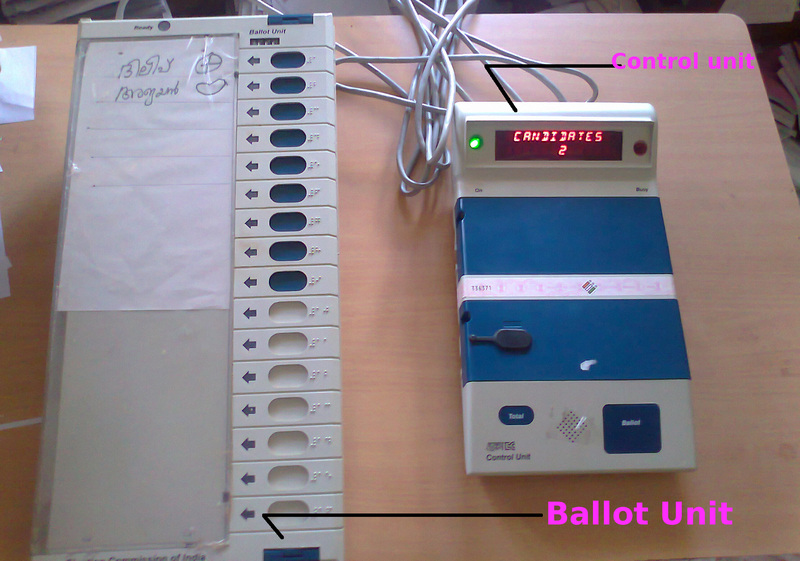 Syed Shuja, a US-based cyber expert, who claims he was a part of the team at Electronic Corporation of India Ltd (ECIL), which designed and developed the EVMs, alleged that the 2014 general elections in India were rigged and that senior BJP leader Gopinath Munde was murdered because he knew about the tampering. In the press conference, Shuja alleged that 2014 Lok Sabha elections were rigged and Congress lost 201 seats in 2014 because of the tampering. He also claimed that Gopinath Munde was murdered as he was aware of EVM hacking, and that slain journalist Gauri Lankesh agreed to run the story for him, but she was killed. Shuja said that other than the BJP, the SP, BSP and the AAP too approached him to know if EVMs could be hacked. He said he fled India in 2014 because he felt threatened in the country after the killing of some of his team members. According to IndiaToday a man who claims to go by the name Syed Shuja did not even attempt hacking an EVM at the London event organised to demonstrate how an EVM can be hacked. The Election Commission of India says EVMs or Electronic Voting Machines have no communication modules, hence cannot be hacked wirelessly. The Election Commission says any attempt to connect to the machine will result in tampering and hence not possible to hack. A number of experts have, in the past, tried to demonstrate how an EVM can be hacked but none of them succeeded in demonstrating that. So, when a man who claimed to have worked on designing the EVMs in question said he can, the media believed. Congress leader Kapil Sibal flew to London, so did a news website to live-webcast the event. The man in question, Syed Shuja, did not come to London. He was there on video conferencing from California. He looked bored in a dingy room. He was sitting in a high sofa and had his face covered. With that kind of anonymity assured, he went on to make one startling revelation after another. Kapil Sibal in attendance and Indians watching him live, he went wild. He said that the 2014 general elections were rigged, almost all political parties in the country are guilty in this and also late minister and senior BJP leader Gopinath Munde was killed because he was aware of the rigging. Shuja addressed a room full of journalists in London via video conferencing and took questions from the media but failed to substantiate any of his claims. Shuja introduced himself as a former member of Electronics Corporation of India Limited (ECIL) and was part of the team that devised the Electronic Voting Machines (EVMs) used in 2014. BJP would have won the Madhya Pradesh, Rajasthan and Chhattisgarh elections recently had he not intercepted BJP’s attempts at EVM tampering.